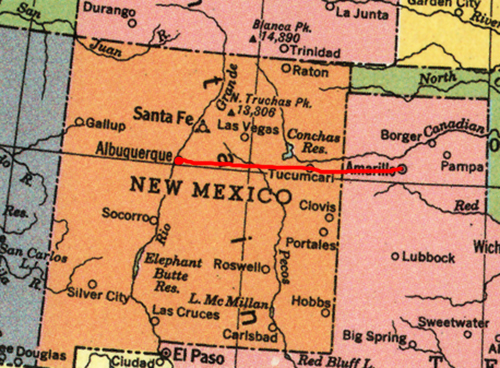 Our distance today was pre-planned—287 miles from Amarillo, Texas, to Albuquerque, New Mexico. This part of the trip started a fire under both Kyle and I to get to the west coast as quick as possible. Albuquerque’s fire also burned me.